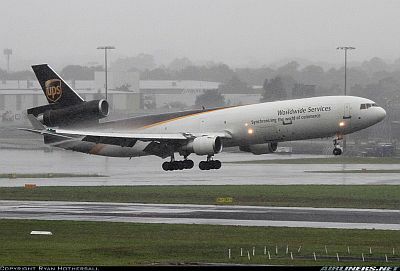 Guest Mike Mangeot is the Public Relations Manager with United Parcel Service (UPS) Airlines. 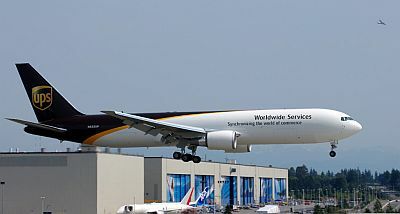 UPS celebrated it’s 105th anniversary on August 28, 2012. We talk about the composition of the UPS fleet, cargo conversions, the UPS committment to green aviation (noise, emissions, carbon trading, etc. ), and employment opportunities. Also, the speed and efficiency of the air network, and the fast service we might come to expect in the future. 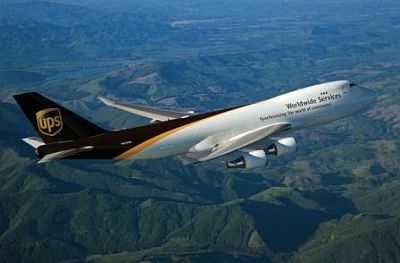 UPS offers a number of customized services through it’s supply chain group. Learn more about the company at the UPS Pressroom and follow them on Twitter as @UPS. Flying as Boeing 288, passing infront of the KPAE factory, about to touchdown on 16R by Malcolm Muir. The Aircraft of the week is the Mitsubishi T-2. Qantas announces a $A256million loss on the back of its loss making international division, Allan Joyce is not taking his $A2.7million salary bonus as a result, 12 RAAF F18F Super Hornets to be converted to EA18G spec at a cost of $A1.5billion, Griffith University in Queensland announces a partnership with Cathay Pacific to provide candidates for their cadet programme, Etihad buys more shares in Virgin Australia. This week on Across The Pond we talk to our expert on aviation in India Rohit Rao from AeroBlogger. Following up our last discussion, Rohit tells us how bad Kingfisher’s financial performance is and what effect the pilots strike has had on international yields . We look at yet another start up and wonder if it will survive and we end up talking about Air India’s new 787 fleet and where it is expected to operate. 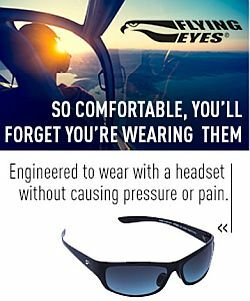 Find Rohit at his AeroBlogger website, on Twitter as @TheAeroBlogger, and on Facebook. Ben’s Heathrow T5 Transportation Pod links: Personal transport pods unveiled at Heathrow Airport, Futuristic ‘pods’ launched at Heathrow, Press releases – Heathrow pods transport passengers to the future. From Trevor Smith, Desert Pilot and @trevsmith on Twitter: 1AZ0 Phoenix Mobile Airport and Google Maps look at Mobile Airport 1AZ0. 747 Over Green Caps courtesy UPS. 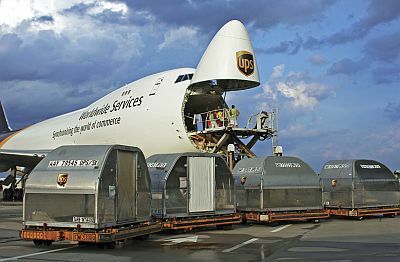 This entry was posted in Episodes and tagged aircargo, American Airlines, Southwest, UPS on August 29, 2012 by maxflight.